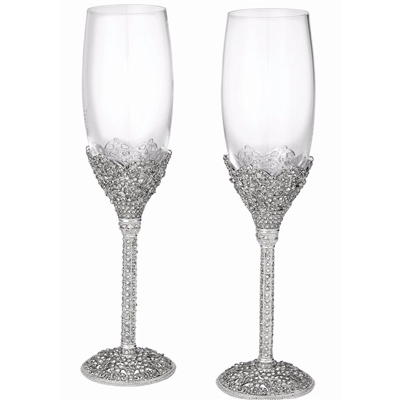 Reminiscent of a time of elegance Olivia Riegel's quintessential SINCLAIR FLUTES are strikingly luxe to the eye and the hand. Guaranteed to make your champagne taste better. Crafted with hand-enamelling and finely set Swarovski crystals Holds 8 ounces Elegant signature gift box included Set of two Each flute measures 9.75-inches tall by 2.50-inch diameter An original design frame from the Olivia Riegel® collection.